Brian spent almost 10 years as a law enforcement officer before deciding to make his passion for fitness into a career. He grew up playing as many sports as he could and continues to live an active lifestyle. He discovered CrossFit during his law enforcement career and found it was an all-encompassing fitness methodology that trains people for life. His passion is derived from helping others achieve their fitness goals. 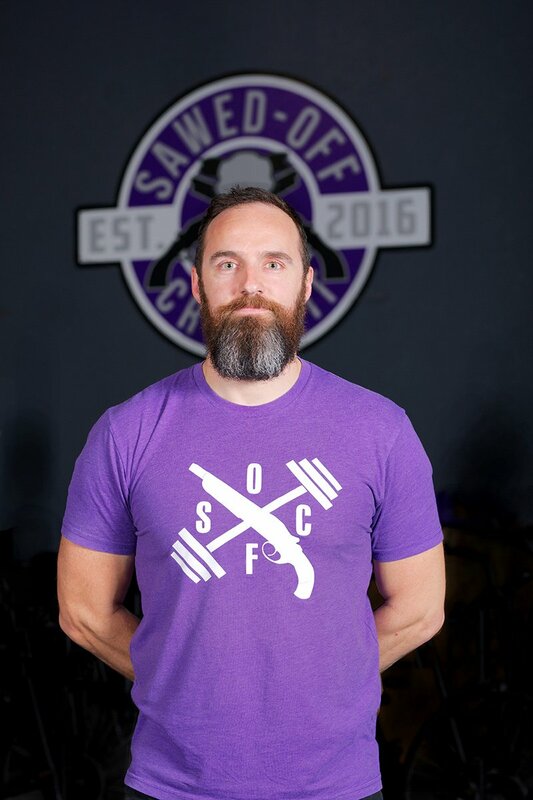 “Seeing a person achieve what they thought impossible is one of the best feelings as a coach or trainer you can experience.” Besides being one of the owners of Sawed-Off CrossFit, he is first and foremost a family man with a great wife and two wonderful daughters.